Parallel growth, on matrix, of dipyramidal crystals with an excellent luster and very well defined faces, with curved edges. 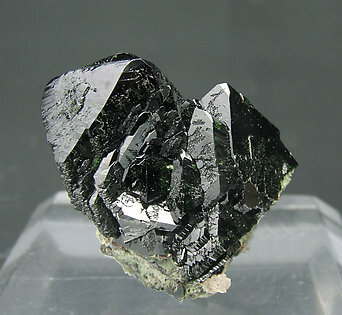 Very sharp, complex and excellent luster Libethenite crystals on matrix. The specimen comes from a one of the most classical Libethenite localities, where nowadays it is quite difficult to find fresh and high quality specimens. This sample was collected by K. J. Reid in November, 1976, who published an interesting article on The Mineralogical Record (Vol. 9 n. 6, Nov.-Dec. 1978). The definitive thumbnail. 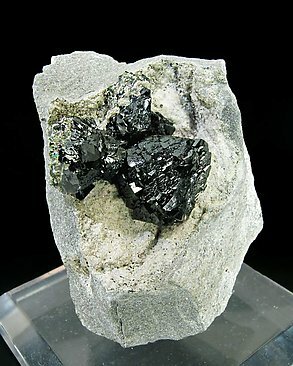 Extremely well defined Libethenite crystals, with marked pseudo-octahedral habit. 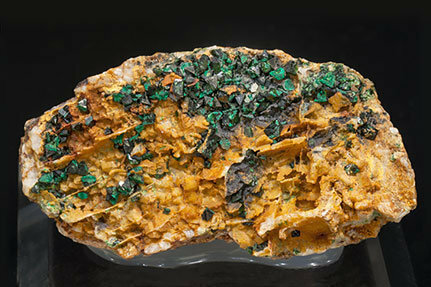 Very deep green color, excellent luster and on matrix. The specimen has been reviewed, photographed and published in the magazine ‘‘Mineral Up’’ on page 26 in number 2008/2. 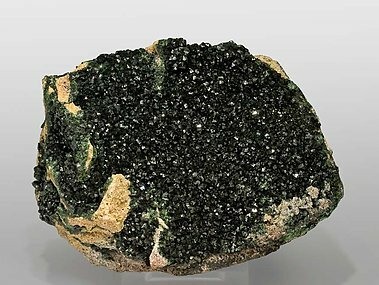 Druse of dipyramidal crystals, with very well defined faces and edges and deep and uniform green color, on matrix. 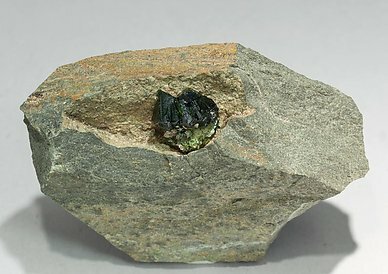 Dipyramidal Libethenite crystals with very well defined faces and edges. They are bright, have a very deep color and are on matrix, with rhombohedral Dolomite crystals. The sample is from the type locality for the species.